Spring issue of We Build is here! The Spring 2019 issue of We Build is themed leadership. 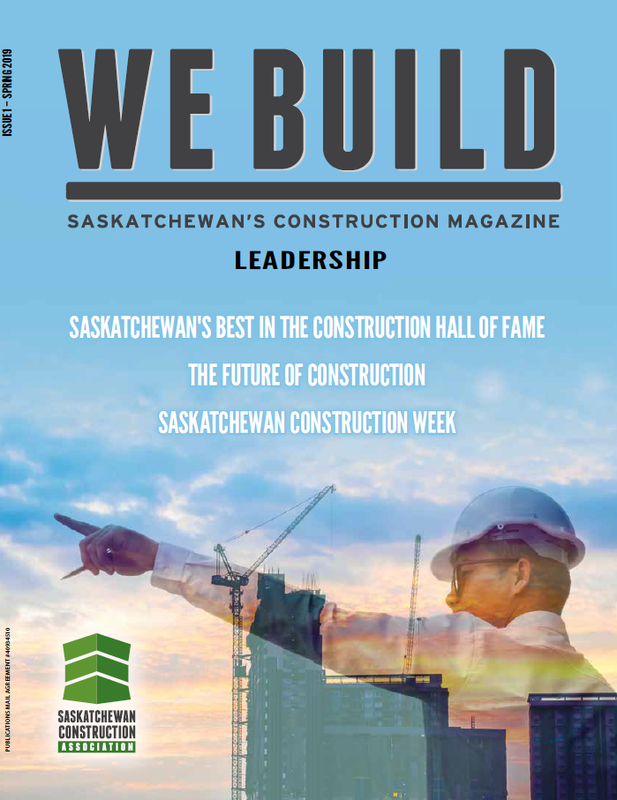 This isssue includes articles that touch on the first-ever inductees into the Saskatchewan Construction Hall of Fame, successful passive building, Construction Week, and even a guest article from TV personality Sherry Holmes! Read our magazine online here. Want to recieve a hard copy? Let us know and we'll put you on the mailing list!